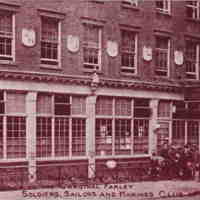 Cardinal Farley Soldiers and Sailors Club located on 15th E. 30th Street in Manhattan. 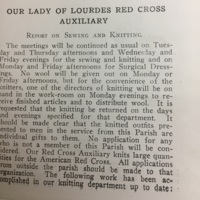 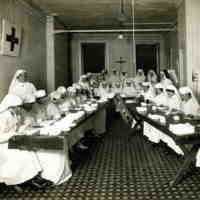 Sections from the Church of Our Lady of Lourdes Bulletin about their Red Cross. 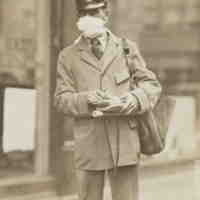 A New York City letter carrier protecting himself against the influenza. 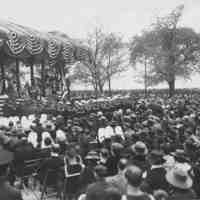 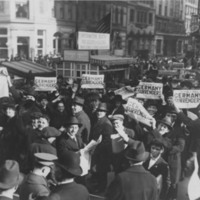 Bishop Patrick Hayes delivering a sermon at a Military Mass in Battery Park for the Americans killed in France, May 31, 1919 (Memorial Day). 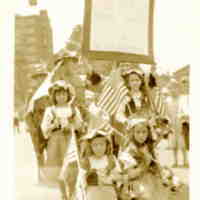 A crowd of over 10,000 attended the service. 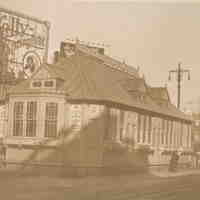 The Longacre Hut sat at Broadway and 42nd Street, in the heart of Manhattan. 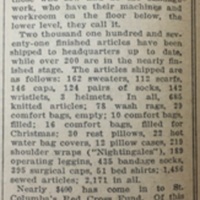 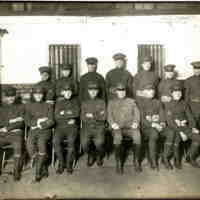 It was built to hold over 500 men with the hope of providing them with exciting entertainment while on leave in New York.